Do you use mailchimp? Learn how to embed mailchimp forms directly into your Showit site. 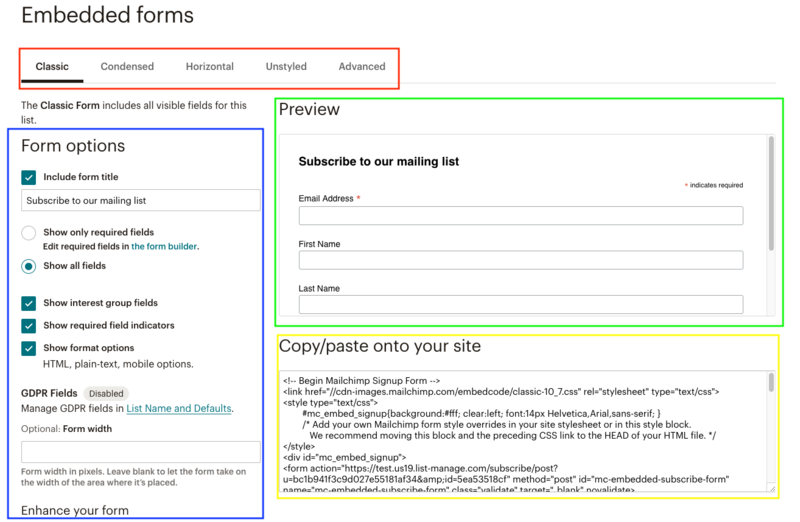 Embedding your Mailchimp forms into your Showit site is really simple. First log into Mailchimp and select Lists, then choose signup forms from the dropdown menu as shown here. From here you can use the form builder to build out your forms. 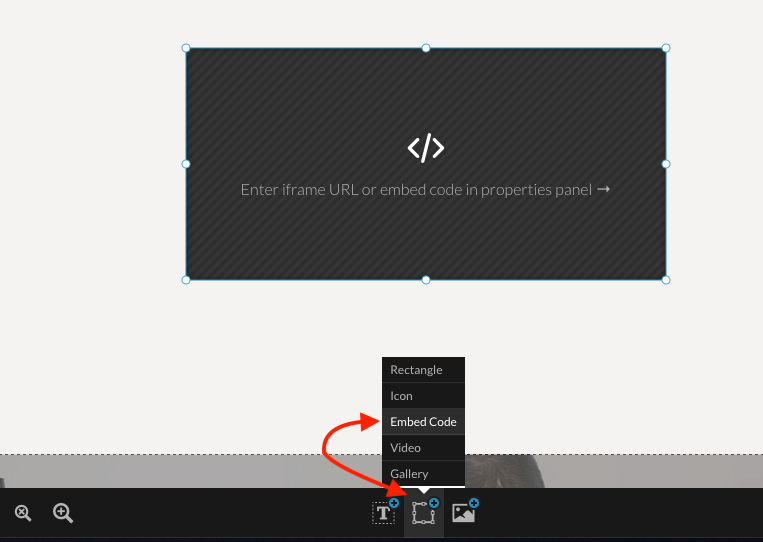 Once you have the form you want to add to your site created, choose the embed forms option. Once you're on the embedded forms page it will look like this. 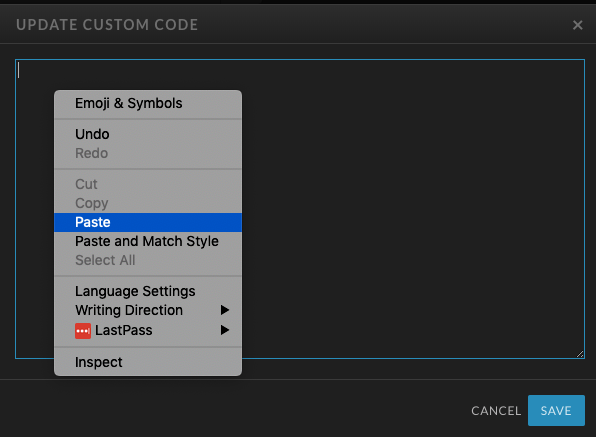 Choose your form type (red), edit form options (blue), see the preview of your form (green), and once you have it dialed in copy your embed code (yellow).